The Rosewood Chamber Ensemble, comprised of flutist Barbara Hopkins and guitarist Judy Handler, will perform April 7 in Kent. St. Andrew’s Episcopal Church in Kent will present its next “Music in the Nave” concert, “Melodies of Mark Twain,” featuring the Rosewood Ensemble” April 7 at 4 p.m. The concert at the 1 Main St. church will explore Twain’s musical life from his early years in the South to his final days in Connecticut. The ensemble will perform spirituals, Scottish and Irish songs, and popular and classical music Twain sang and loved, as well as relate entertaining anecdotes and quotes. The group, which consists of flute and guitar, will perform on instruments similar to what Twain played or heard. 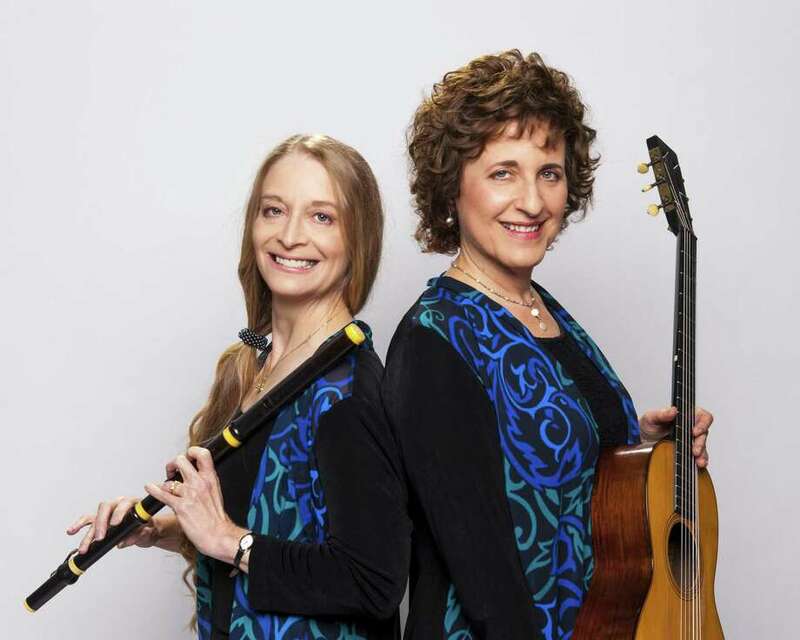 Flutist Barbara Hopkins and guitarist Judy have presented their unique blend of musicality, humor and scholarship to venues such as the Adams National Historical Park, Yale Collection of Musical Instruments and the Litchfield Historical Society. Admission is $15. Tickets can be purchased online at http://melodiesofmarktwin.eventbrite.com and at the door with cash or check. For more information, call 860-927-3486, email st.andrew.kent@snet.net or visit www.standrewskentct.org/mitn.html.